Sometimes we need to render outlines without using post process. For example on mobile devices and VR full-screen post-process calculations are too heavy so we have to find another solution. This short article presents geometry based outlines, very old and tricky method that I’ve used in the Anime Toon Shading package. Set the material to render from inside. How it helps? 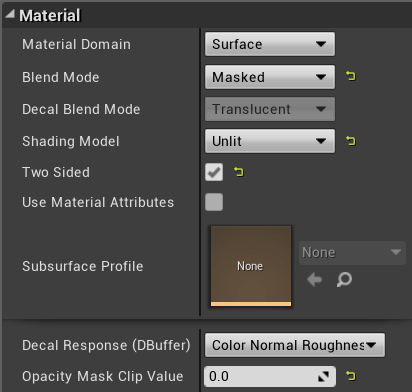 I have found that the front face of material can be removed from two-sided material by using masked blend mode. We only need to know if a rendered pixel is front or backside to the camera. This can be easily founded by using a TwoSidedSign node that will return 1 if the side of the polygon is positive. 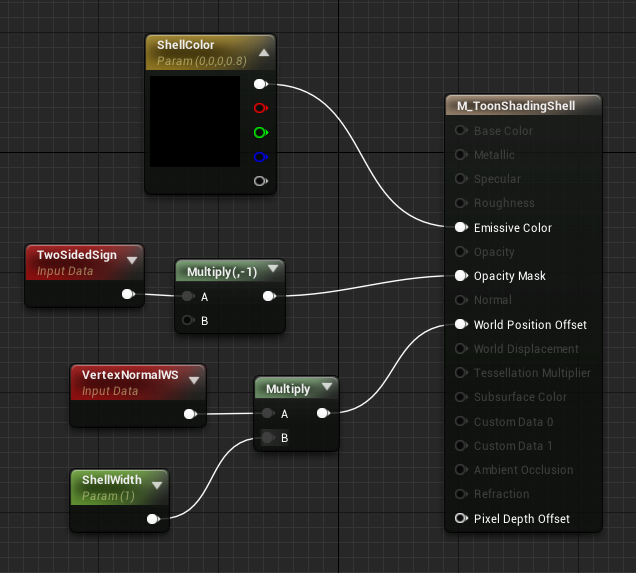 Just invert the result of this function and return as opacity mask value of the material. Finally, you can do it yourself or just buy one of my packages called Anime Toon Shading and download the full implementation. 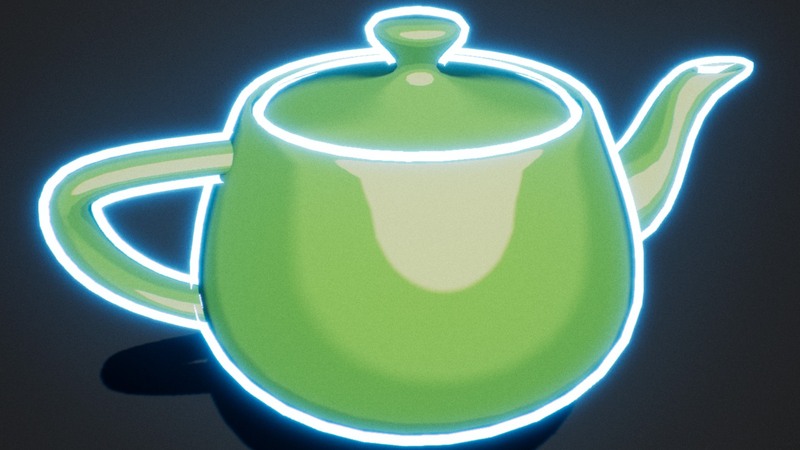 Emissive outline shell effect in Anime Toon Shading package.